(CNA/EWTN News) Madrid, Spain, May 18, 2016 / 12:25 am – Father Rodrigo Miranda is a priest from Chile. But it was in Syria, among the oppressed Christian community, that he learned what it really meant to be a priest. Fr. Miranda is a member of the Institute of the Incarnate Word. He lived in Aleppo, Syria from March 2011 until late 2014, when he was forced to leave the country. Hundreds of thousands of people have died in the country’s ongoing civil war, while millions have been displaced from their homes. The war has affected church attendance in the outlying areas. Though the war has changed life for Syria’s Christians, their faith endures. He sees a contrast with the experience of Christianity in the West. 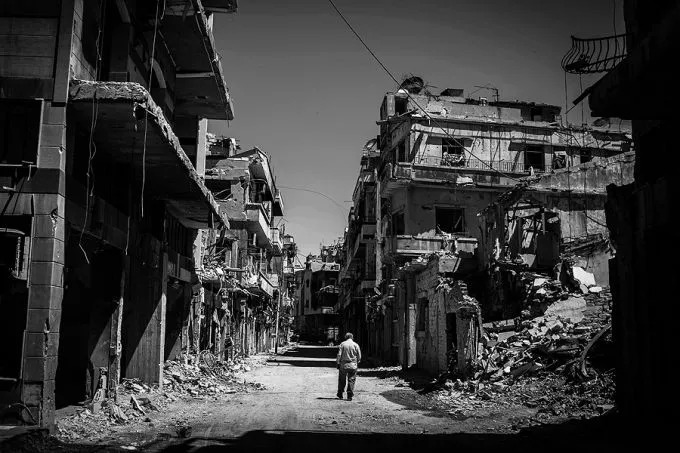 According to Father Miranda, the Christian population in Syria has gone from 10 percent to just 2 percent because they’re targeted not just by the Islamic State group, but also by the Syrian opposition. “The Church in Aleppo continues to be very fervent, very devoted, with a lot of activity. We of the Latin Rite are a minority within the minority,” the young priest said.